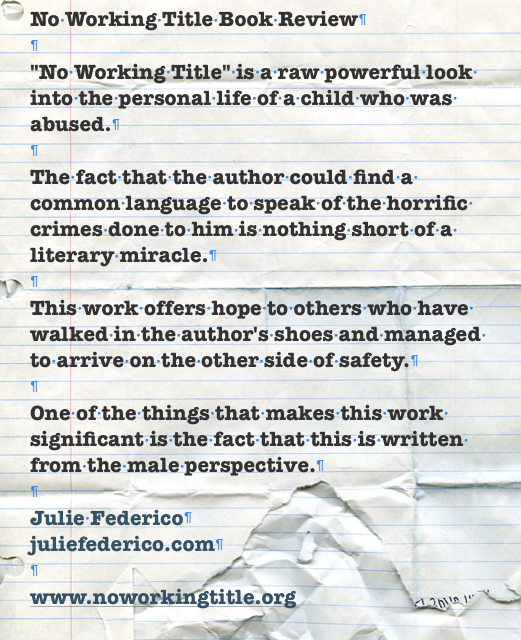 “No Working Title” is a raw powerful look into the personal life of a child who was abused. The fact that the author (Dr John A King) could find a common language to speak of the horrific crimes done to him is nothing short of a literary miracle. 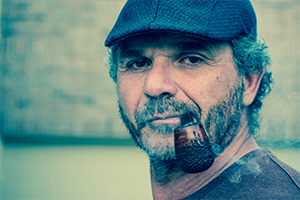 This work offers hope to others who have walked in the author’s shoes and managed to arrive on the other side of safety. One of the things that makes this work significant is the fact that this is written from the male perspective.